RAGETRADES! 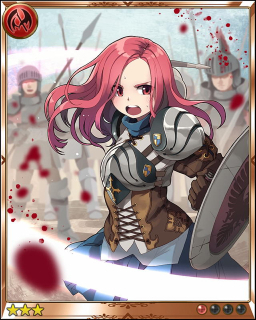 YOUR SOURCE FOR RAGE of BAHAMUT INFO, HELP and TRADES: The New Invite Card! So whose ready to talk about the new invite card? 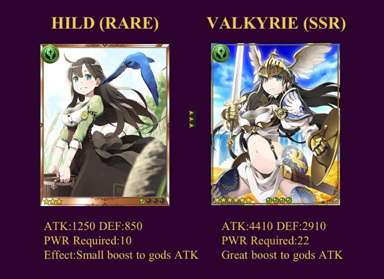 Which BTW guys has Evo stats similar to Valkyrie. (I'll have exact numbers released when I know them). Not to mention it's finally the Demon's Turns to get one in their realm! Just incase you were wondering the previous cards were mostly Man (2 total), with Gods getting only the last one. So what makes this best invite card to come out since Nobu? The skill my friends, the skill! GREAT HIT to FOE's ATK & DEF ALLLLLLLL! This is an approximate 10% (Not sure of the exact percentage, bc it's the first of it's kind) lowering to your opponents attack and or defense! Suddenly being a Demon isn't so bad. This is perfect for a starter deck who has mixed realm cards. Grab them while you can ppl! Once this month ends, these cards are going to be worth a lot! Was told this is a 6 card Max Evo. Haven't done the math yet to confirm, if someone has let me know. Have pix or stats on the new card? ALSO! Stop Selling for your Valkyries & Hilds for low deals. Now that this card is no longer being given out, (within a week or 2) the value is going to skyrocket. So save them. In a little time you'll be trading Hilds for 10hp each!